Server-side efficiency: HTTP responses should be quick and easy to compute. Client-side efficiency: Anything computed inside the web browser still needs to be fast so we don’t harm perceived load time or battery life. Developer efficiency: Code should be easy to understand, easy to reuse, and easy to refactor. We solve these issues with several open-source projects: XHP provides a safe, easy-to-use abstraction for server-side UI components; Hack adds convenient support for asynchronous operations; and React provides an efficient client-side UI library. The open-source XHP library has recently gained support for Hack’s async functionality — but purely server-side UIs aren’t sufficient for the modern web. 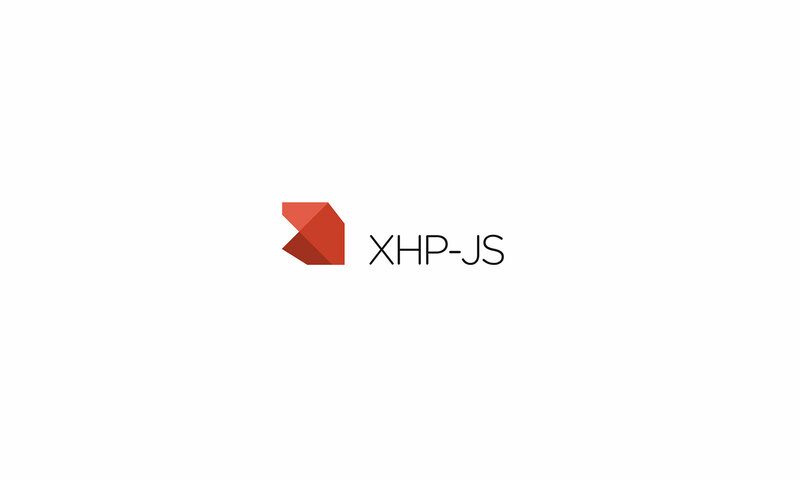 Today’s release of XHP-JS provides the ability to add client-side logic to XHP components and even to create instances of React components from Hack code. This post shows how async, React, and XHP can interoperate. If you’re not already familiar with them individually, see the overviews in the “Further reading” links below. Let’s start with something simple: a list of friends’ names. There’s no need to worry about escaping — if a friend’s preferred name is ‘<script>alert(“bobby tables”);</script>’, that’s completely fine. There’s no need to worry about how to actually fetch the friends. This is fairly involved: The hypothetical FriendsFetcher class would need to check the given user’s friends list visibility, fetch the list of friends, check which of them are visible to the current user, and then create an object for each friend with only those details visible to the current user. There’s also no need to decide which version of someone’s name to render — for example, if someone has provided his or her name in multiple languages. There’s no need to particularly worry about performance. Hack and XHP will automatically parallelize the fetching — so the data fetching for Bob’s friends list will happen at the same time as mine, instead of only one at a time. The page developer doesn’t need to know anything other than that he or she wants to render two friends lists. This does not need any code that instantiates the component to be changed, and is still efficient despite adding additional calls to our photo and messaging services. These will happen in parallel with each other and with any other pending async calls (such as rendering Bob’s friends list while also rendering mine). A common question is how this fits into a model-view-controller architecture. While traditional “template” systems merely render the data provided to them, allowing views to fetch peripheral data actually increases the separation between the layers. In a standard template system, everywhere in the code that wanted to render a friends list would need to fetch profile photos and Messenger status for each friend, when all they care about is rendering a friends list. XHPAsync allows this to be efficiently encapsulated and considered an implementation detail instead of part of the component API. :x:js-scope attaches an empty list of operations to the XHP sub-tree, and blocks its own rendering on the rendering of all its children. jsCall() serializes its parameters and stores them in the list for the current sub-tree. We added XHPJS::Element() to address these problems. The return value is a marker object containing a reference to the XHP object, which is special-cased in the serializer: At the end of the scope, a unique random ID attribute is automatically assigned if one wasn’t specified, but the existing one is used if provided, and the ID is sent in the JSON, along with a flag indicating that the node should be passed by the client-side unserializer instead of the raw ID. This helps discourage developers from specifying IDs, which reduces the chances of collisions when components are heavily reused within the same page. This can also be combined with XHPAsync to prefetch some data, at the cost of slightly weakening encapsulation.